On the 22nd of February 2011 at 12:51pm the Christchurch that we know was changed forever, as were the lives of many many Cantabrians when the earthquake caused the ground to shake so violently. 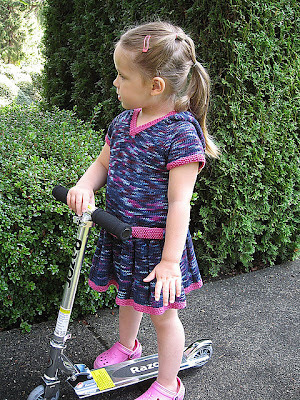 So to generate some funds to help support Christchurch I'll be donating 100% of pattern sales from my Teacher's Pet pattern to the Red Cross for Christchurch till the end of April 2011. 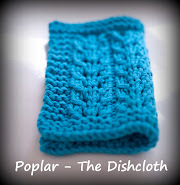 You can purchase it for $5.50USD through Ravelry here or through my 'patterns' tab here. 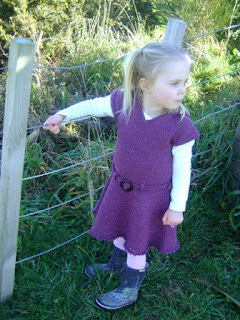 Teacher’s Pet is a simple and seamless (top-down) pattern for a gorgeous yet practical wee dress. 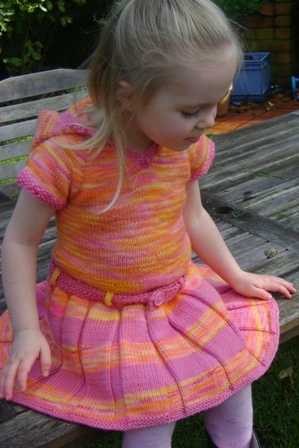 The patterns can be knit in either DK (8ply) or worsted weight (10ply) as long as a 20 sts gauge is used. The pattern also includes a printer friendly version at the end - so it’s possible to download the full pdf with all the info and pretty pictures, but if you prefer to save paper and ink simply print the last few pages of the pdf. 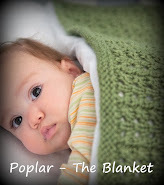 You'll be sent a pdf of the pattern. For those without a credit card and living in NZ, flick me an email and we can organise for a bank deposit and I can email you the PDF. those dresses are gorgeous! & being from Christchurch, I think it's awesome that you are donating all the funds from this pattern to the red cross!